Today is not about politics. Well, in a way. Today is about my experience on death row, not as an inmate, rather, as a visitor. I promise no political opinion or argument; just a story about my experience on death row. There are certain events in a person’s life they don’t easily forget. A trip to death row falls into that category. As is no secret, capital punishment has always been a passion of mine. 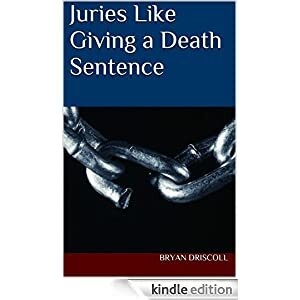 In my third year of law school, I took a course on capital punishment taught by a judge who presided over many capital murder cases and sat on judicial boards across the country. One cool, April, Florida Friday morning, the small class met at the courthouse to pile into a big white van driven by two local deputies. We were about to take a three hour ride through the middle of Florida to visit Florida’s death row in Raiford. The ride was more than pleasant. Everyone was lighthearted asking the judge questions but also discussing random topics with each other. My friend and I kept checking my phone for updates as it was day two of the Master’s. We pulled into the prison parking lot late morning as the Florida heat started to kick in. We were greeted by a prison guard who told us to leave everything in the van except our identification and some change for vending machines. As we walked into the administration building, we were guided to a small conference room that looked like a museum. In some respects, it was. The walls were decorated with confiscated shanks. Seriously. Over the years, prison guards would confiscate and display the creative products the inmates would put together. It was interesting. It was time for our briefing about what our day was going to entail. We would be shown numerous areas of the prison, including high security risk inmates and, of course, death row. There were some areas of the prison where low risk inmates were allowed to walk about. Even though they were low risk and we would be accompanied by guards, we were told it was best to stay in a close group and not wander off. Another guard asked us again if anyone brought anything inside with them other than change and identification. When it was clear we had all followed instructions, we then walked across a yard and small side street to enter the prison. I had visions of Andy Dufresne looking up at the stone walls as he is being driven into Shawshank. It was similar, though not exactly the same. In Raiford, it was only fence. Mind you, this fence was at least ten feet high, had ridiculous amounts of barbed wire atop and was at least fifteen yards deep. I assume fencing and barbed wire contractors are kept in business by prisons alone. After we go through security, which was honestly not as intense as I had envisioned, we were greeted by our tour guides, a couple of guards. They reminded us to stay close together. My initial impression was that it wasn’t so bad. I wouldn’t want to live there but it wasn’t bad. The inmates walking about seemed nice enough, giving head nods as we walked by. There were some inmates sitting in the chapel, others in a classroom. Then we reached the high risk inmates. There were separate doors we had to have buzzed open to reach this wing. I understand why. It was noisy and uncontrolled. While the inmates here are locked in cells 23 hours per day, they are not quiet for that period of time. And when visitors arrive, they become even more raucous. We did not spend much time in this wing. We kept walking further and further into the prison and, as we walked away from the high risk inmates, it actually got somewhat quiet, almost somber. And then we approached death row. Another few doors making the buzzing sound. There is actually a lobby of sorts before actually entering death row. It’s a guard break room, so to speak. A handful of guards welcomed us and informed us that, even though we were already a small group, no more than six people could be on death row at one time, so we broke into two smaller groups. The first group walked in, through another buzzing door, of course, and returned several minutes later. Now it was my turn. The first thing I noticed and what struck me the most was the silence. Aside from one death row inmate watching television, very quietly mind you, death row was as silent as a library. As you enter, you notice the darkness, very few lights. The rust colored bars seem even darker without light. I then noticed there was a second walkway in between us and the individual cells. This is where the guards stood making sure the inmates behaved. And, honestly, the death row inmates were the most pleasant of all. I imagine it must feel like a zoo to them where they are the monkeys. That can’t be a good feeling. Nevertheless, they were pleasant and quiet, happy to answer the handful of questions posed to them. Time was up, time to go. Where to? Downstairs, to the death chamber. Seems a little cruel to me the men know just twenty feet below them is the room where they will die. As we walk down the stairs, we are first shown a couple of cells where the condemned spend the last couple of days under constant watch. Now, the death chamber. It’s small. Just a single piece of metal with some padding over it for comfort, I assume. Straps and shackles to keep the condemned in place. And that’s it. It doesn’t have a stench, it’s very clean. But none of that is what moves you. Standing mere inches from the location where 86 people (as of this writing) have been executed is a very real experience. Thinking of all the lives lost both right in front of you on that table and the victims back in the free world, is a moving moment. It was this moment, this exact moment, that I realized I was right. My passion for being an opponent of capital punishment was solidified at that time and place. For a person so passionate about capital punishment, there is no more moving moment than standing in the death chamber. This is a moment I will not soon forget. ← Gun Control and Compromise: Impossible?